Apple was the market leader with its AirPods as premium models continued to dominate the market. However, mid-tier brands started to gain market share. 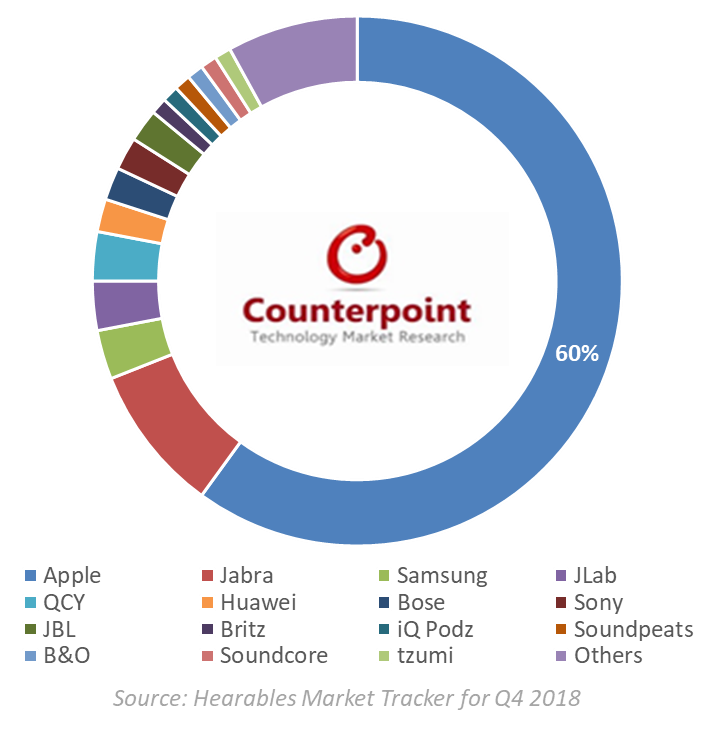 The size of the global market for true wireless hearables stood 12.5 million units in Q4 2018, according to the findings of Counterpoint Research’s Hearables Market Tracker. North America was the largest market, accounting for 24% of the volumes, followed closely by the Asia Pacific region excluding China and Europe. In terms of brands, Apple was the clear leader with a 60% market share. However, its share was dented as customers waited for the new generation of AirPods, scheduled for launch in Q1 2019. The strong performance of second-tier brands, such as JLab and QCY, also had a negative impact on Apple’s market share. Apart from Apple’s AirPods, the best sellers list featured premium models priced around US$150-200. 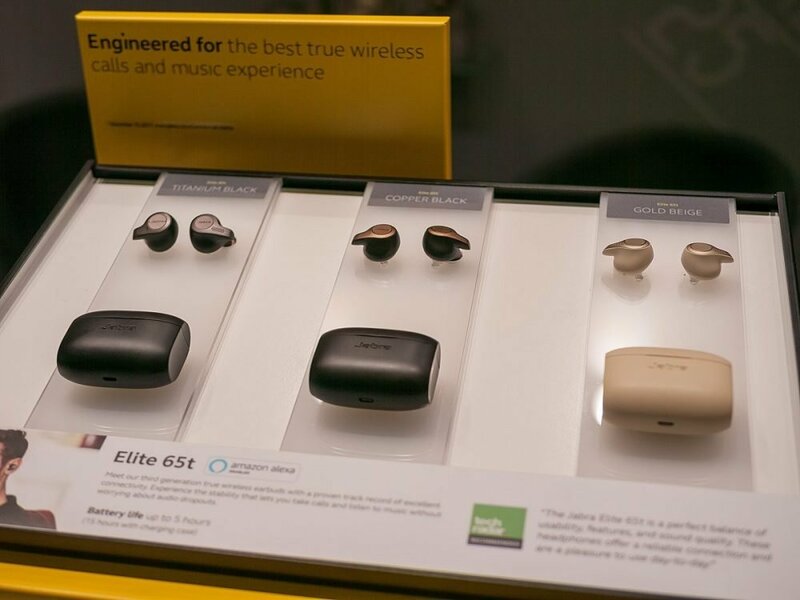 Jabra Elite Active 65t, Samsung Gear IconX, and Bose SoundSport Free featured were some of the premium models in the top 10 best-selling list. However, several low to mid-tier models priced under US$100 also made their mark. North America – Apple remained strong in its home market. However, global brands like Samsung and Jabra, and interestingly JLab and iQ Podz, also performed well in the US and Canada. Europe – Apple underperformed with a bit lower market share as compared to other regions. Other premium brands, such as Jabra, outperformed. Jabra, in particular, had a market share of 14%. Performance of new brands such as Arbily, HolyHigh, and Vigoshop across Western Europe was also noteworthy. Asia Pacific (ex. China) – Apple’s performance seemed healthy but the eye-catching performance was from the new Asian brands like Britz and GLIDiC. Growth in the Asia Pacific market is expected to be strong driven by developing countries. China – Apple’s market share was relatively lower as compared to other regions. QCY’s presence is growing with its budget devices T1 and T1S. Other Chinese local brands including Honor, Edifier and ENKOR also had a strong performance in China. 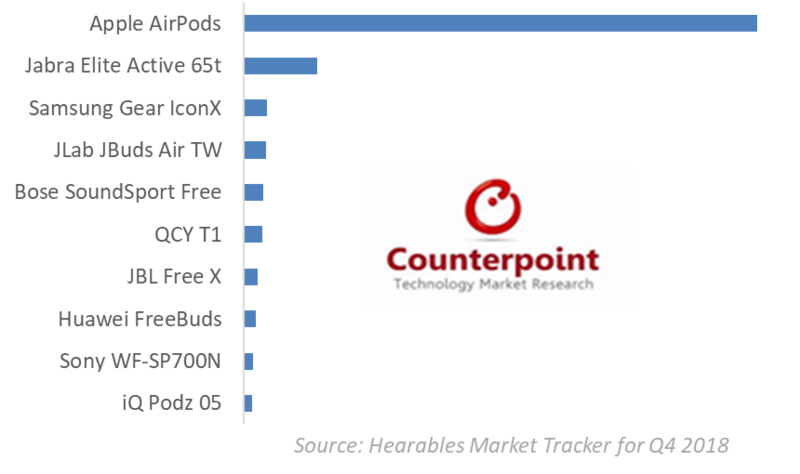 The comprehensive and in-depth Market Tracker and Reports for Hearables are available for purchase at our Insights Portal. Please feel free to reach out to us at press(at)counterpointresearch.com for further questions regarding our in-depth latest research, insights or press enquiries. Liz, a Senior Analyst at Counterpoint Research, has 13+ years of extensive experience in the tech industry. Previously, Liz worked for Samsung SDI focusing on IR (Investor Relations) along with insight-based analysis of emerging tech markets and corporate strategies. 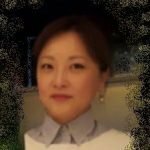 She holds an International MBA degree from Waseda Business School.